Why Does The Ringing in my Ears Come And go? With tinnitus, it’s normal to have good and bad days but why? Tinnitus is the technical term for ringing in the ears, a condition more than 45 million Americans experience, according to the American Tinnitus Association, and 90 percent of them also have some level of hearing loss. But what’s tough to comprehend is why it’s almost non-existent on some days and on others the ringing is so invasive. Some typical triggers may explain it but it’s still unclear why this occurs. You hear it, the guy beside you doesn’t, which is one thing that makes tinnitus so disturbing. The noise can vary in pitch and volume, too. It may be gone one day and the next it’s a roar. For a small percentage of people, there is no obvious reason for them to have tinnitus. Consult your doctor to have your ears examined if you suddenly notice the symptoms of tinnitus. The issue might be something treatable or it might be a symptom of a life-threatening condition including high blood pressure or heart disease. A side effect of a new medication might also be the cause. For some reason the ringing gets worse on some days. It’s somewhat of a medical mystery as to why some days are worse than others for those with tinnitus. And there may be more than one reason depending on the person. However, there might be some common triggers. Your tinnitus can be aggravated by loud events like concerts, club music, and fireworks. The number one way to go is to wear ear protection if you expect to be exposed to a lot of noise. They make earplugs, for example, that will permit you to enjoy music at a live performance but reduce the effect it has on your ears. You can also stay away from the source of the sound. When you go to a fireworks show don’t go up front and stay away from the front row when you’re at a live performance. With this and hearing protection, the damage to your hearing will be decreased. Laundry – If you fold clothes while the washer is running, for example. Wearing headphones – It might be time to get rid of the earbuds or headphones. Their job is to increase the volume, and that might be aggravating your ears. If you can’t stay away from loud noises at least use hearing protection. Loud noises at work have the same effect as a concert or the lawnmower. If you work around machinery or in construction it’s especially important to wear ear protection. Your employer will most likely provide ear protection if you make them aware of your concerns. Spend your personal time letting your ears rest, too. Many people have experienced ear popping when they fly. 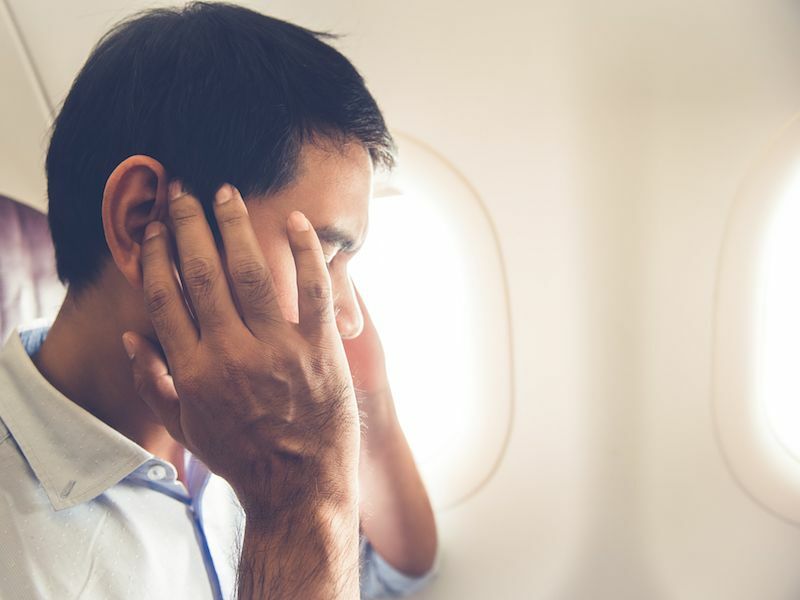 The shift in air pressure combined with the noise from the plane engines can lead to an increase in tinnitus. Consider hearing protection if you are traveling and bring some gum to neutralize the air pressure. You can experience changes in pressure without leaving your home, as well. Taking the correct medication to alleviate sinus pressure is also helpful. If you’re experiencing an intensifying of your tinnitus after you begin taking a new prescription, consult your doctor. It might be feasible to change to something else. Tinnitus is an aggravation for some people, but for others, it can be debilitating. The first step is to find out why you have it and then consider ways to control it from day to day.